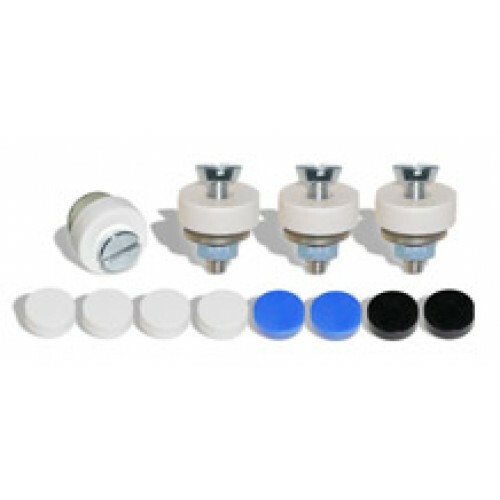 This kit includes all the nut and bolts needed to attach a Europlate to your car. Includes four (4) German-made stainless nuts, bolts, and washers. Next come 4 acrylic spacers, which come in handy with a Europlate frame, or standalone. 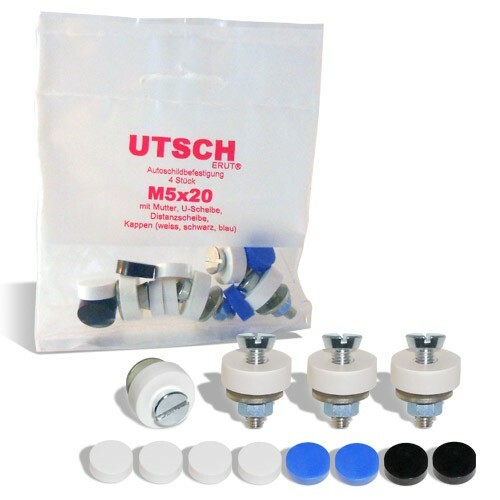 And last, this kit includes four (4) white, two (2) black, and two (2) blue plastic nut covers. So, what are these covers for, you ask? If you mount your Europlate directly to your car, without a frame, the covers hide the nuts. White covers for the white part of the plate, black for black letters, and blue in the blue space, where European Country Code decals go.